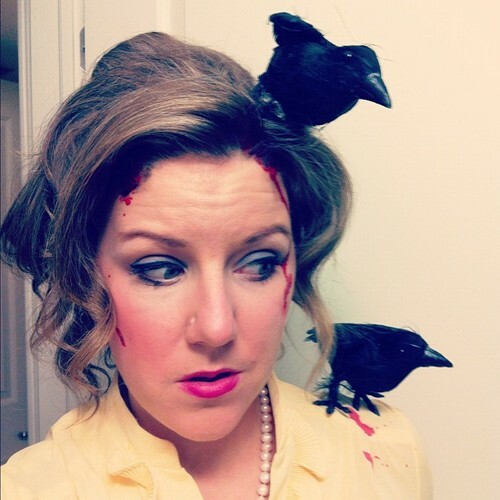 And This Year’s Halloween Costume Will Be…. Halloween is one of my FAVORITE non-holidays of the year. I love it as much as Christmas and seriously wish it was a holiday. So choosing the perfect Halloween costume is not only a necessity – it’s a matter of serious importance. But this year, following in the wake of two fun (and I think awesome?) costumes last year – Tippi Hendren from the Birds and Mia Wallace from Pulp Fiction – I wasn’t feeling the inspiration this year. And apparently, I nailed it a year early (see #3 on this list). This year, I’m headed to Halifax, Nova Scotia (my old stomping grounds from my university days) to attend my friends Sarah & Greg’s annual Halloween party + official house warming party. There is a costume contest. This is SERIOUS business. So you can understand why my lack of ideas or inspiration was troubling. Then it hit me. And I realized the perfect costume for me was right before my eyes. Literally. 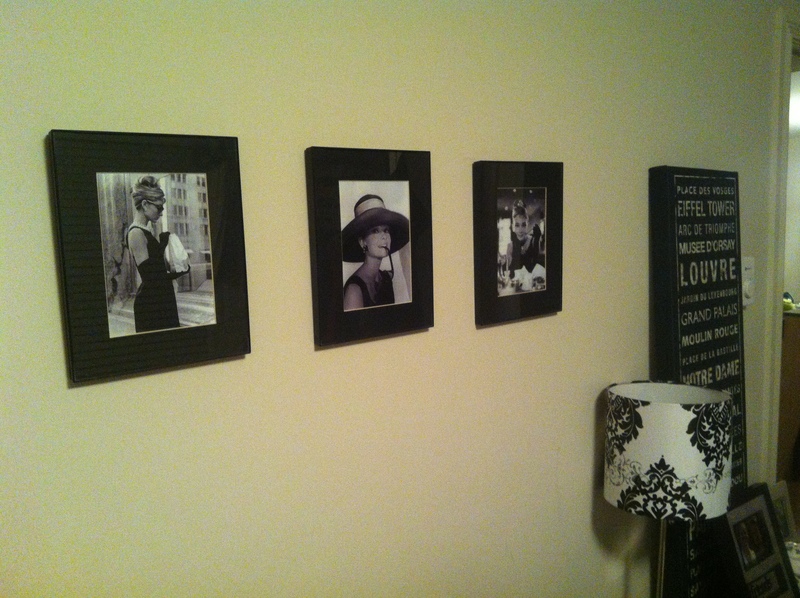 In the form of three black and white prints I bought on 5th Avenue in NYC in 2010. Yes, for one night only, you can just call me Holly Golightly. I mean, Holly and I are practically the same person. We both have orange cats and this is a reality we deal with every morning. We can both be a little dramatic from time to time. We’re both wildly in love with Tiffany’s. We’re both into handsome men who write and look good in suits. And we love kisses in the rain. If you’re still with me after this girly gush of Audrey Hepburn / Breakfast at Tiffany’s love – then have I told you lately that I love you? Stay tuned for next week when I share some snapshots of my costume! And coming this weekend while I’m away – my top 5 must-watch Halloween movies (that may or may not actually be Halloween movies). ps: tomorrow night, I’ll be hitting the town in beautiful, historical HALIFAX with my S ( you may know her as @spellerine) and there may or may not be champagne and a Speak Easy (Gossip Girl style) in our plans. Want to feel like you’re there? Follow either of us on Instagram: @Crystal_Catherine or @spellerine. perfect! I can’t wait to see the pictures!